Ladywell Chapel hosted a two day art exhibition commemorating the start of the First World War. on Saturday 2nd & Sunday 3rd August 2014. The First World War - or the Great War 1914-1918 was fought on 3 continents and saw 14 million killed and 34 million wounded. This year commemorates the 100th year anniversary of the start of the First World War on 5th August 2014.Women war artists were commissioned in the First World War, but had few opportunities to venture beyond the domestic, social, and industrial operations on the home front. 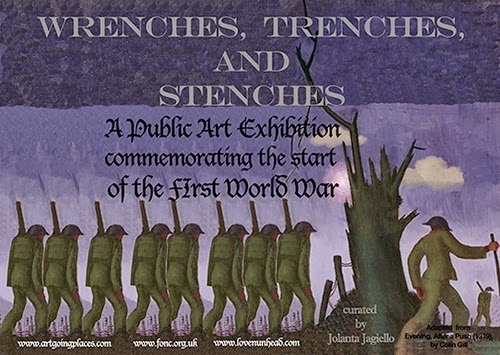 This public art exhibition commissioned 7 women artists to give their unique perspective on the First World War from life on the front line, as well as on the home front. Each artist produced 3 artworks: commemorating the start of the war in 1914; the middle of the war in 1916; and the end of the war on Armistice Day in 1918. Nicky Scott-Francis looked at the landscape of war based on research at the Imperial War Museum - particularly the fear of a gas attack. Jolanta Jagiello based on research f rom the Musei della Grande Guerra Open Air Museum in South Tyrol examined how deliberately setting off avalanches saw thousands of soldiers serving in the Alpine Front killed. Elisabeta Chojak-Mysko’s artworks focussed on the heat of battle so that we should not forget. Whilst Sara Scott told the personal story of her grandfather’s munitions factory and its contribution to the war effort. Louise Kosinska traced the love story between her grandfather in Belgium and her grandmother serving as Red Cross Nurse. Monica Wheeler highlighted how families were divided by the war, serving on all sides. 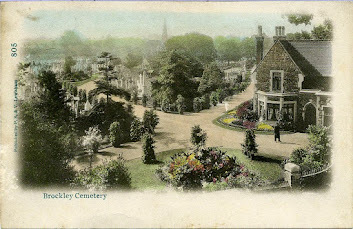 And f inally Jill Rock concentrated on her German family roots, interned in Britain for their own safety during the World War I. The exhibition was curated by Jolanta Jagiello and funded by Southwark Council Community Fund. 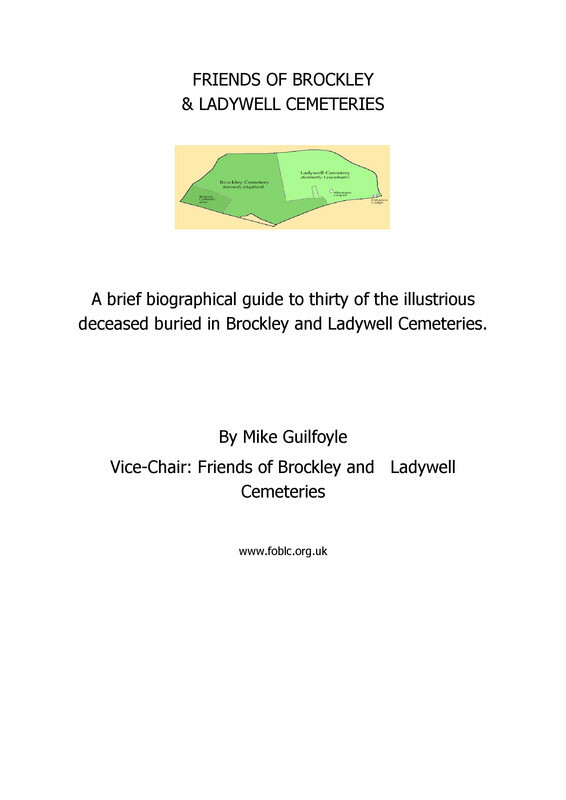 Guided walks of notable graves were also led by the Friends of Brockley & Ladywell Cemeteries.